David Ortiz played the final regular season series of his career this past weekend at Fenway. 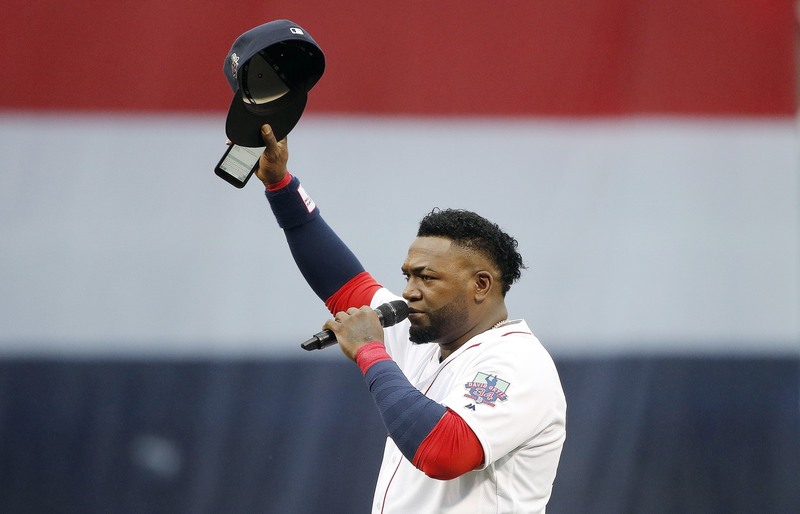 Before all three games of the series, the Red Sox put together a ceremony to honor Papi and everything he’s meant to the Red Sox, the game of baseball, the Dominican Republic, and the city of Boston. From hitting the eventual game-winning homer on Friday night to being honored by other Boston sports figures and former teammates to greeting children who have had open-heart surgery thanks to his foundation, to having a street and a bridge named after him and catching the first pitch from the president of the Dominican Republic, Papi and the rest of Red Sox Nation had a pretty memorable weekend. Oh yeah, he also received word that his number will be retired next year. Let’s get this guy another ring. Go Sox.